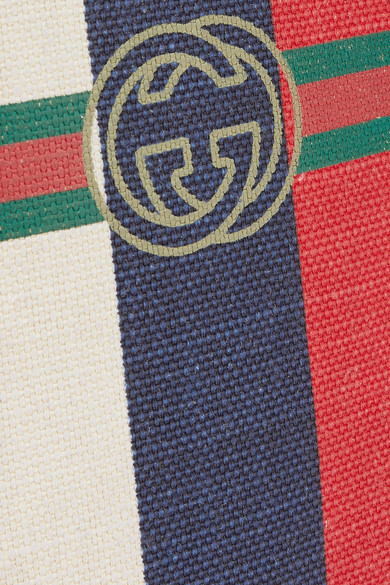 Few brands have embraced the logomania trend quite like Gucci - the label incorporated archival details into its latest collection. 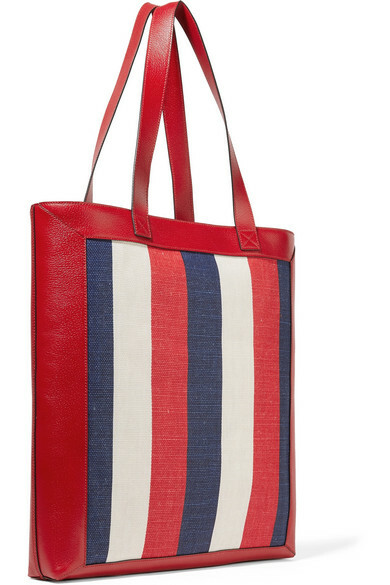 Made from canvas and trimmed in red textured-leather, this tote is woven with the house's heritage stripes and iconic '80s logo. 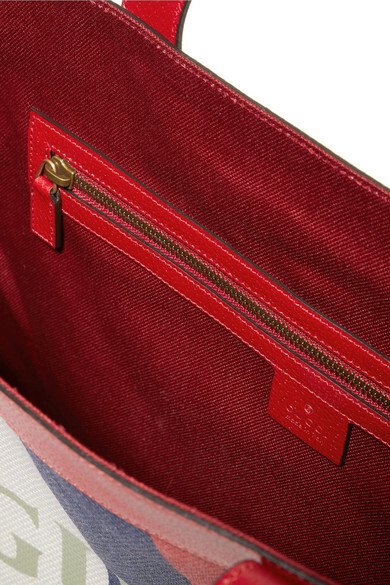 The spacious interior is roomy enough to hold all your weekly essentials - think a wallet, makeup pouch and tablet. 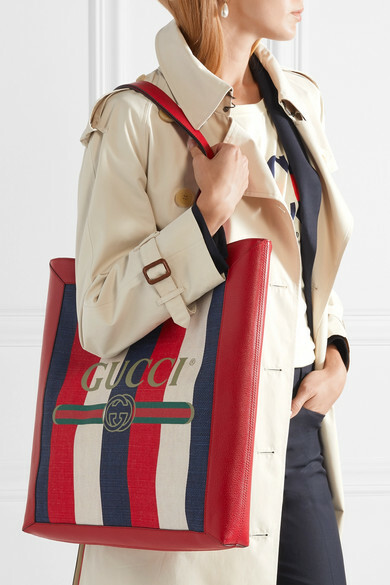 Shown here with: Burberry Trench coat, Gucci T-shirt, Joseph Pants, Joseph Blazer, The Row Loafers, Gucci Earrings.